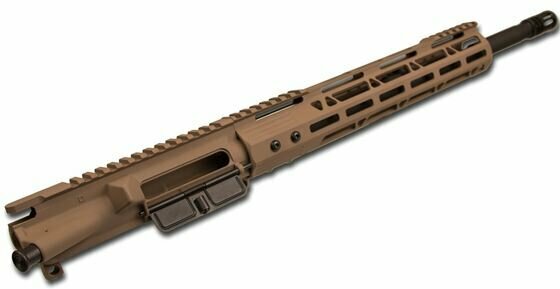 This AR-15 .223 Wylde / 5.56 NATO upper assembly in Flat Dark Earth is made from the highest quality materials and with the exception of the imported hand guard... every other part is Made in the USA! This upper is not just assembled in Texas, several of the parts are made right here in Texas and Texas Gun Builders runs our own Cerakote operation. So with the high-quality materials, meticulous workmanship & incredible pricing you can't go wrong. We use Anderson Manufacturing flat top Mil-Spec upper receivers with M4 feed ramps, forged and then CNC Machined from 7075-T6 Aluminum, providing you with the hardest and most durable material of any upper receiver! 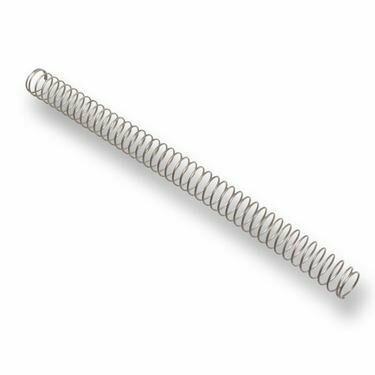 This 16in .223 Wylde barrel is made from 4150 Gun Quality Parkerized Chrome-Moly Steel, Heat Treated to RC 28-32 Hardness, and Stress Relieved! 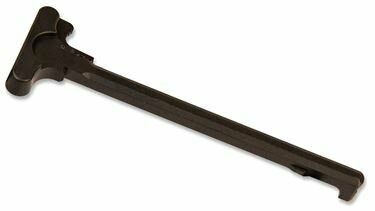 The barrel is incredibly accurate and durable and includes an A2 flash hider. 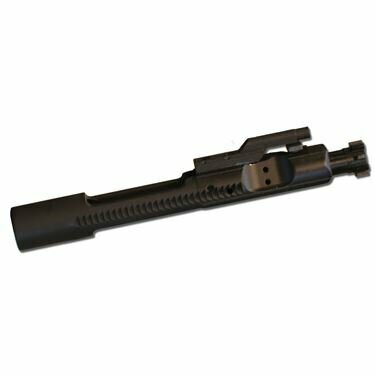 This upper has a 1:8 twist rate, US Made carbine gas system with steel low-profile gas block (Not usually found on uppers in this price range), M-LOK Hand Guard with free rail inserts, so your attachment position options are endless! The hand guard is a 12in TGB M-LOK made from Aircraft Aluminum, hard coat anodized to improve strength, then later Cerakoted and designed for shooters that want the versatility of picatinny inserts with no additional costs! 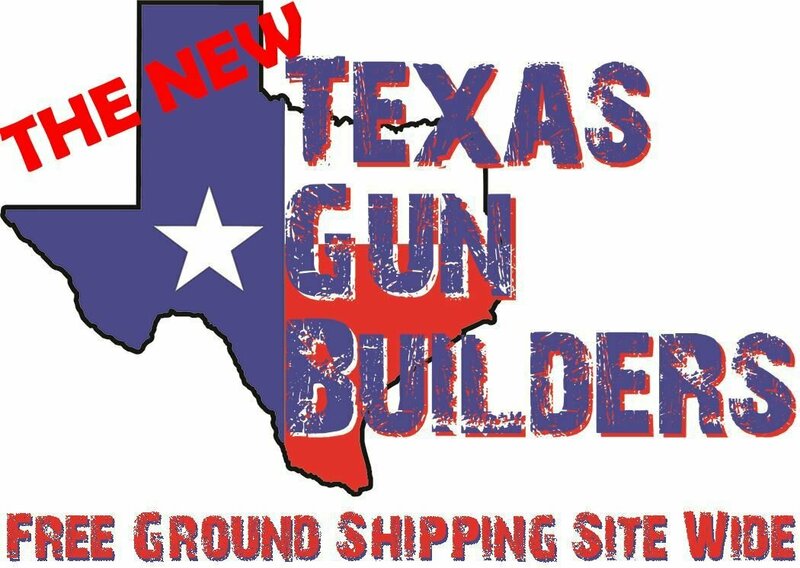 The gun builders at Texas Gun Builders have over 40 years combined experience, led by an ex-Army Armorer. Our uppers are torqued to military specs & quality checked continuously. 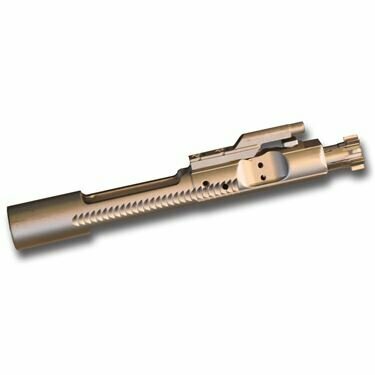 "BCG "Bolt Carrier Group" and Charging Handle ARE NOT INCLUDED with this assembly.